You’ve been in an auto accident. It happens to everyone. It clearly wasn’t planned, but that’s why it’s called an accident. You don’t have to drive around with damaged panels, cracked bumpers, or obvious dents. Learn more about the advantages of the auto body repair shop at our Nissan dealership in Downers Grove, IL, and then schedule an appointment online or by phone at (888)448-1554 for a free estimate. Having your car the way it used to look is closer than you think with the Bill Kay Nissan collision repair shop! 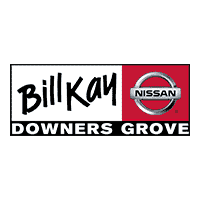 Why Choose the Bill Kay Nissan Collision Repair Center? Which Makes and Models Do We Service? Even though we’re a Nissan dealership, our auto body repair shop is fully capable of servicing all makes and models. Whether you have a new Nissan SUV or a Chevy truck you’ve had for years, we can help with your auto body and collision repair needs. If you’re ready to get your car, truck, or SUV back to like-new condition, schedule an appointment at the auto body repair shop at Bill Kay Nissan, just a short drive from Countryside. Get in touch with our team by calling (888)257-1917 or contact us online. Our experts will survey every aspect of the repair work your car requires and provide the best estimate they can. Your car will be restored to its former glory before you know it with a little help from us!